Some hospital bosses have described this winter in the NHS as the worst they have ever seen. Winter always brings immense pressure to the NHS but this year has seen problems arise in all areas, not just in accident and emergency departments. Since Christmas the whole system has been backed up and delays in discharging patients, due to a lack of care in the community, as detailed in our recent article here, have been blamed. 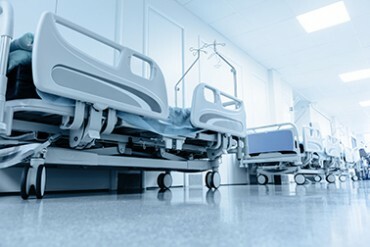 Research by the BBC has found that since the start of December 137 out of 152 hospital trusts have been above that level and over 60 hospital trusts had rates of over 95%. 20 new hospitals would be needed to reduce the overcrowding to safe levels. The NHS has had too many patients this winter. Resources become stretched leading to delays in treatment and the possibility of medical mistakes. If you think you may have been the victim of a medical accident or inadequate care, contact one of our Medical Claims Advisors to find out more about how we can help you with your claim. The figures and quotes featured in this article can be found here.